Yes, ladies and gents, it’s that time of the year…time to rekindle those favorite family traditions the ones you remember from when your kids were younger. No, I am not talking about tree decorating, ice skating and drinking hot chocolate in front of a fireplace, although that’s fun too! 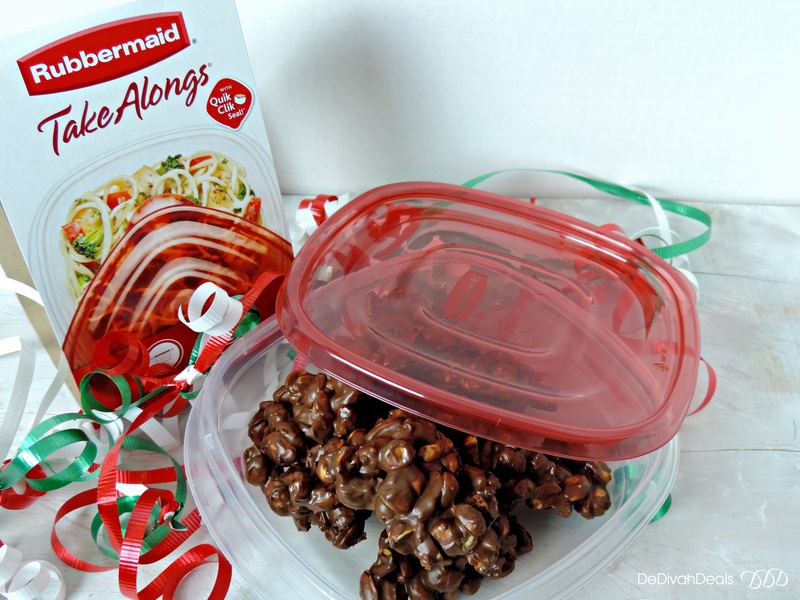 I’m talking about eating foods that you know you shouldn’t and blaming it on the holidays! 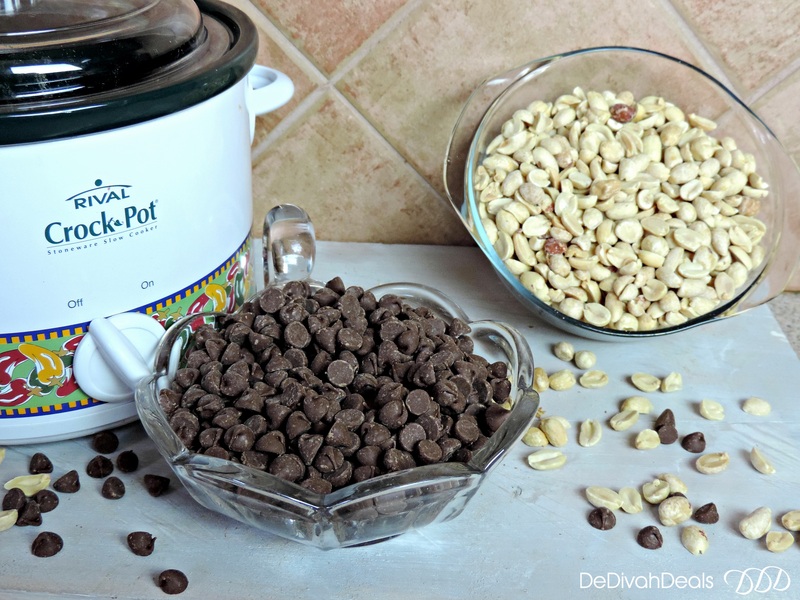 The first week of December when the boys were younger, we would spend hours in the kitchen baking cookies, brownies and making Gingerbread Houses, but our my all time favorite sweet treat was Crock Pot Peanut Clusters. Malik, our youngest is away at college and Tayair who is working no longer have an interest in spending time in the kitchen baking, so it’s just me and the Crock Pot. 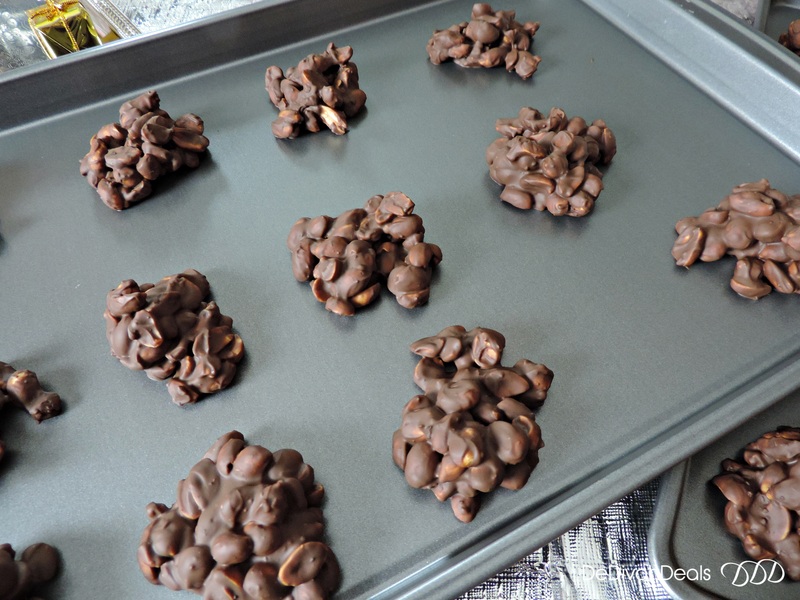 You may remember when I first posted this recipe on my blog, I had made a few batches of these Slow Cooked Peanut Clusters to give to the nurses at the Helen Graham Cancer Center when hubby was undergoing chemo. 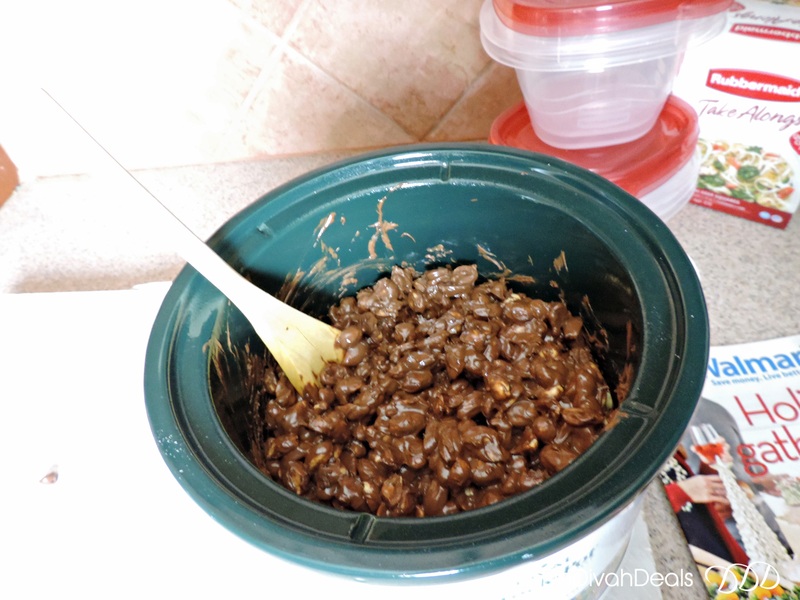 Very simple to make with just a few ingredients, these Crock Pot Peanut Clusters make great gifts for anyone on your “Secret Santa” list, a co-worker, teacher or the next door neighbor. 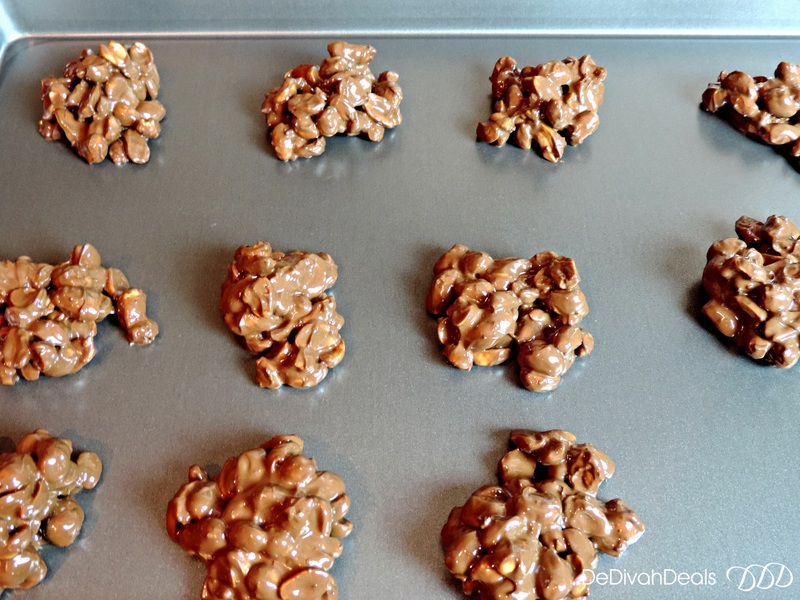 Crock Pot Peanut Clusters are an easy breezy treat for anytime of the year but because it takes less than 2 hours to make you can get some holiday decorations done while they slow cook. 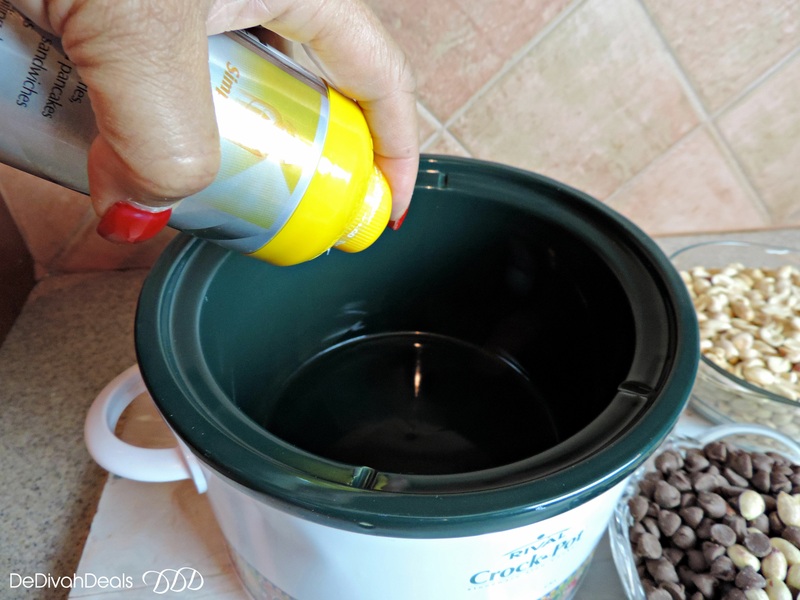 For easier cleanup, first coat the inside of the Crock Pot with a Butter Cooking Spray. 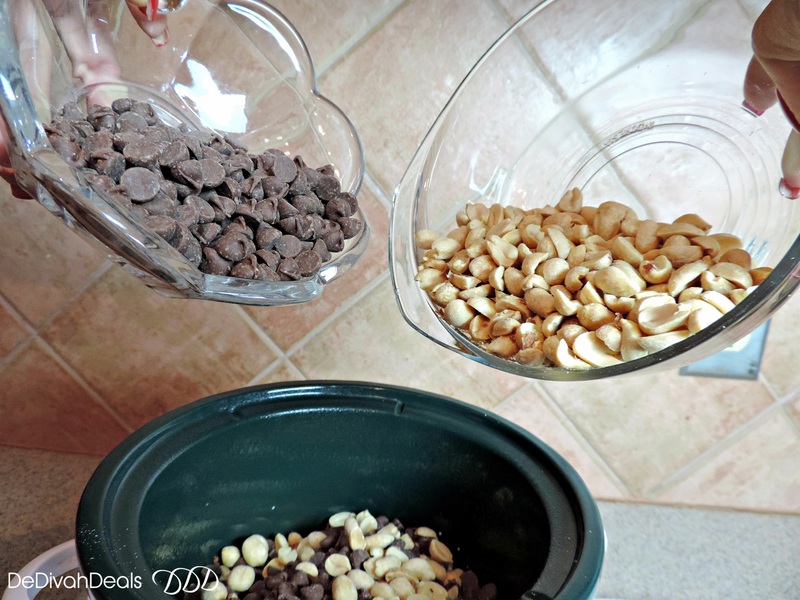 Pour in half the jar of peanuts followed by half a bag of chocolate chips. Cover and cook on low for 1 hour, however, depending on the style Crock Pot you may need to add more time but check it after the first hour to ensure the chocolate is not burning. Once the chocolate has softened, use a wooden spoon to stir, thoroughly mixing in the peanuts. Use a large spoon or an Ice Cream scoop to dollop out medium size clusters onto a non-stick baking sheet or a platter covered with Parchment Paper. Put Peanut Clusters into the refrigerator for an hour allowing them to to harden. 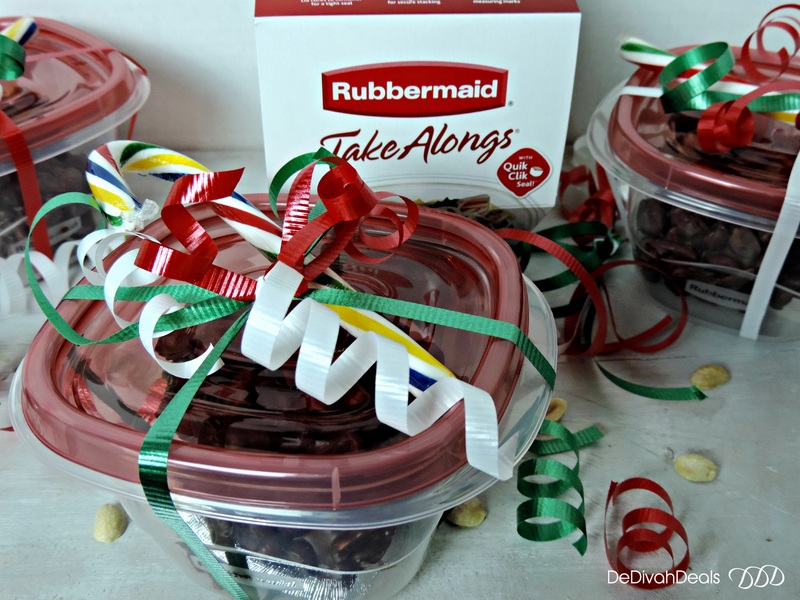 Remove and package in a resealable bags or containers to be given as gifts or as tasty treats for the family. Chime in: What is your favorite Holiday Sweet Treat? Would You Be More Productive With a 5-Hour Work Day? I love this, using the crock pot for something sweet. I imagine you could use any nut. My answer to your question is what don’t I like about Holiday treats, not much! Yes, you can use any type of nut, peanuts of course are less expensive than most. Happy Holidays Haralee! What a wonderful idea to give the Peanut Clusters as gifts. I hope I will be able to handle the temptation of the aroma of chocolate. Once the chocolate starts heating up, it become irresistible to not take a taste test. OMG. What a great easy-peasy idea! Thank you! Pinned and shared on FB! Thank you, I know you will like it. Yes, I always use a butter or olive oil cooking spray. Some people prefer the liner bags, but I don’t want my food slow cooked in plastic. Have a wonderful week Erika. You are quite welcome my dear! Such a smart idea and easy enough for folks like me. Thanks Sis. Good sis, hope you make plenty for the holidays! So yummy! I recently donated my crockpot to Goodwill because it was too small. Soon, I’ll get another one. I love how easy this looks to make! All I need is a small crockpot now. Yes, I picked up more peanuts and chips today – they are my holiday favorites.